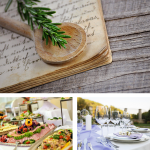 As practically every caterer knows, taking advantage of opportunities as they present themselves is crucial to catering success. But there is another side of this particular coin – that of learning to decline a risky opportunity and even walk away from an existing piece of business that is detracting from the overall success of the company. Every caterer goes through a cost benefit calculation when considering any opportunity: from building the first kitchen, to taking on a new contract or venue, or even starting a new division of the company. It is a perfectly justifiable business strategy to set stretch goals, which may mean going outside of your comfort zone when considering these opportunities. This is particularly true when using an opportunity to break into an important new market that might not be accessible otherwise. But I have also seen situations where a caterer has taken on a risky contract or other venture, without considering how it might have a negative impact on the company’s core business, In the worst of al possible outcomes, this can create a vicious cycle – whereby an unsuccessful venture drains resources (both capital and management focus) to the point where the overall company ceases to function as well as it might. In one case, an entire mid-sized catering company in the Midwest nearly failed because of one relatively small venture that should never have been attempted in the first place. Another perspective on this challenge is deciding when to give up an existing piece of business that has proved unsuccessful. This has been a challenge to many of the most successful caterers in our industry, and it is never an easy choice to make. But a mature and well run company knows when to cut its losses and walk away from a marginal or failed operation. In another example of life being unfair, it is of course easier for a well established and successful company to walk away from a losing venture than it is for a smaller company. But there are clearly situations that no matter how painful, it is better to cut your losses and live to fight another day. It occurs to me that I am sounding somewhat gloomy, so let me address this from a somewhat happier perspective. I have managed and consulted for companies that have gone through very hard times – including the exact type of situations described above. Yet because of sound business decisions, dedicated management, and even a little luck, several of these companies are not just surviving, they are flourishing. A few are the dominant caterers in their respective markets, and are enjoying both high growth and profitability. The moral of the story is – consider carefully any venture you may take on, and make sure you can maintain your core business while you start this new venture., But at the same time, do not assume that a single bad outcome will kill your company. Some of the biggest and best caterers nationwide have gone through rough patches and have lived to tell the tale.